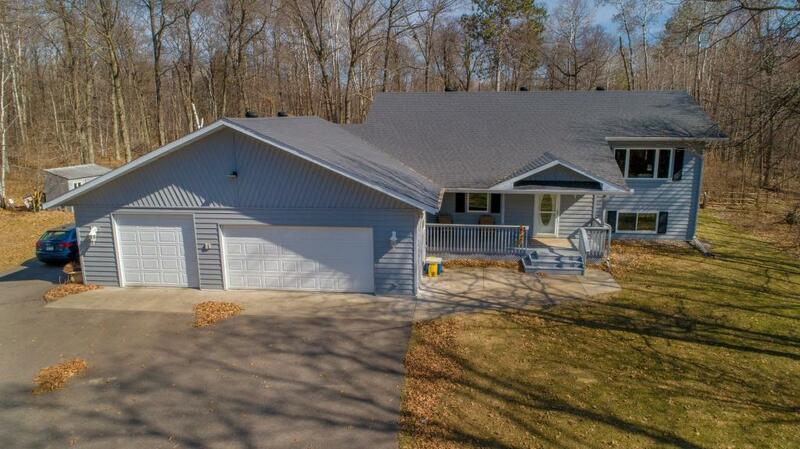 Amazing location for this updated and spacious 5BR / 2BA Situated on a beautiful 2.5 acre lot that meets up with the Paul Bunyan Trail. Large foyer entry with double closets, Stainless steel appliances, vaulted living room with gas stone fireplace. hardwood floors, wood ceilings, fully finished basement with family room, huge storage area. Heated attached garage with additional storage space above.Covered front porch with deck, 2nd deck overlooking backyard, storage shed, much more. Schedule a private tour today!